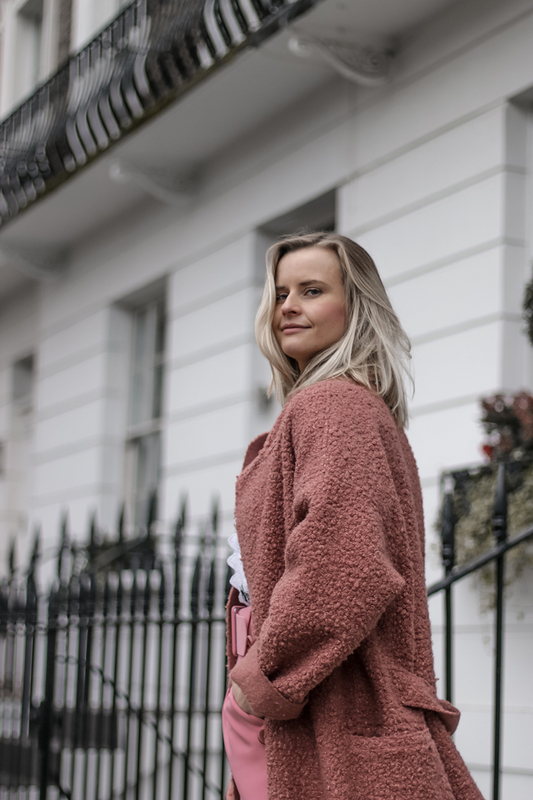 This may seem like ages ago, but just the other day I went down to London for LFW (London Fashion Week) in February, my usual weekend in London. I take the opportunity to discover different places to eat out, along side a busy schedule if I am being organised. 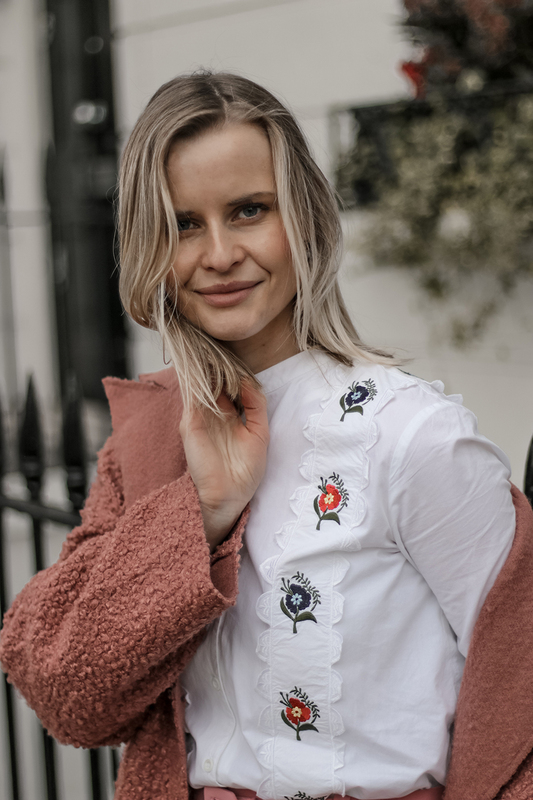 This year, I mainly came to look for different jewellery brands in the actual showrooms and found some gorgeous one, some of them we yet got to discover here in the UK. Here is how my 12 hours in London looked like. After we joined forces, we grab a quick coffee before we got surrounded by the fashion week’s madness. If you seen my Instagram, you know there was a protest against animal cruelty. Lucky for us D was wearing very fury yet faux coat! I was the evil friend who just find it so funny as she had to hide the coat in her bag, otherwise she would get the slug (hehe)! Also imagine, this is February, so not the warmest time of the year to walk out without a coat! Once we got to the ‘The Store’ at The Strand (The official LFW Space), we made sure we spent at least couple hours there. It’s always such a great buzz, busy tho and after just few hours, you have enough of it. 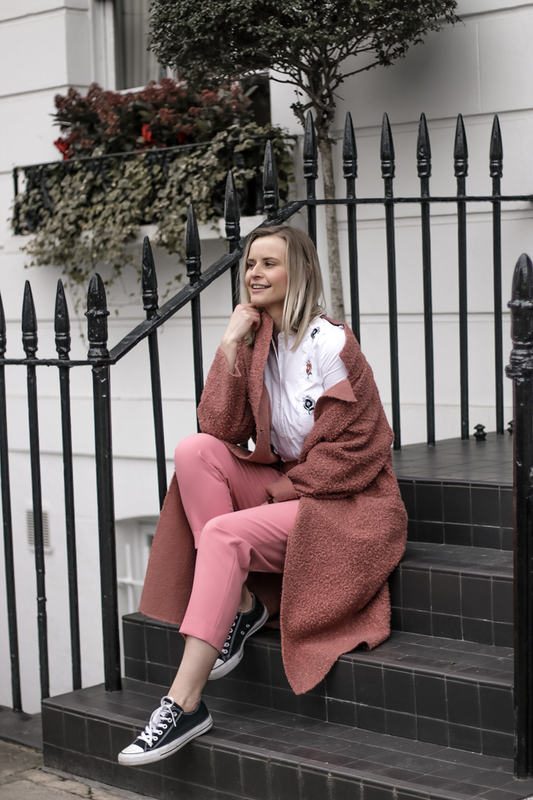 I always plan something nice around the time of LFW, so we decided to explore The Ivy Chelsea Garden for late lunch on that day. The Ivy had just installed their Spring florals up their main entrance, it looks so beautiful! At that time I also found out The Ivy opened up in Cheltenham, so for everybody from around here, it’s a place to go and explore. The London one is always busy, just remember to book a table well in advance. This gave us time to discuss what we just saw and catch up really. 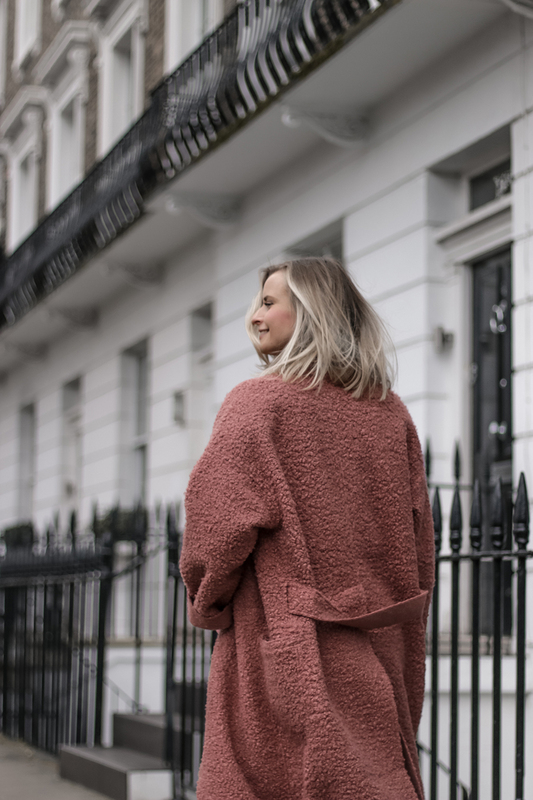 Before we arrived to the stunning place, we managed to squeeze a blog shoot with D around Chelsea. I love this area! I find London around here the most magical, the side streets are picture perfect, houses are so dreamy and you don’t even realise you are still in the centre of London because it’s quiet. 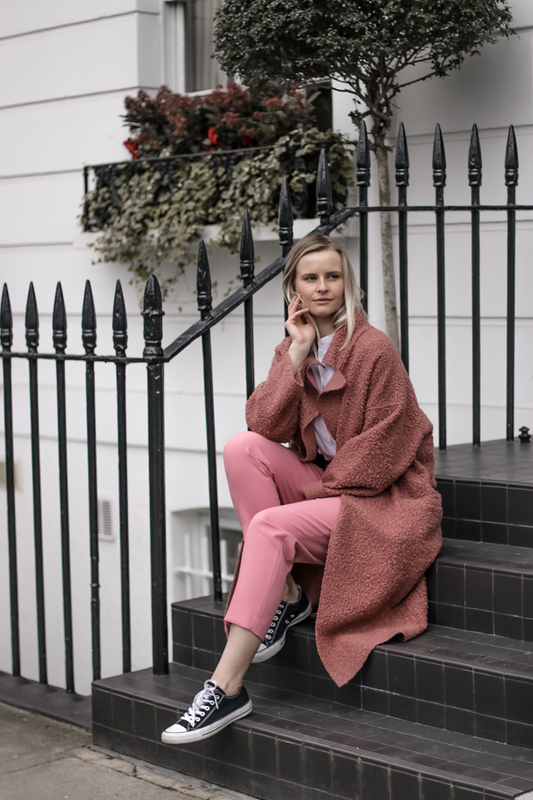 For my look that day, I’ve teamed up my new Intropia coat with Zara trousers – new trend PINK on PINK – what do you guys think? I actually recently subscribed to Hello Fashion Mag, and this week when I got my April issue, I saw Pink on Pink is really big trend this season! Yup, that’s right! 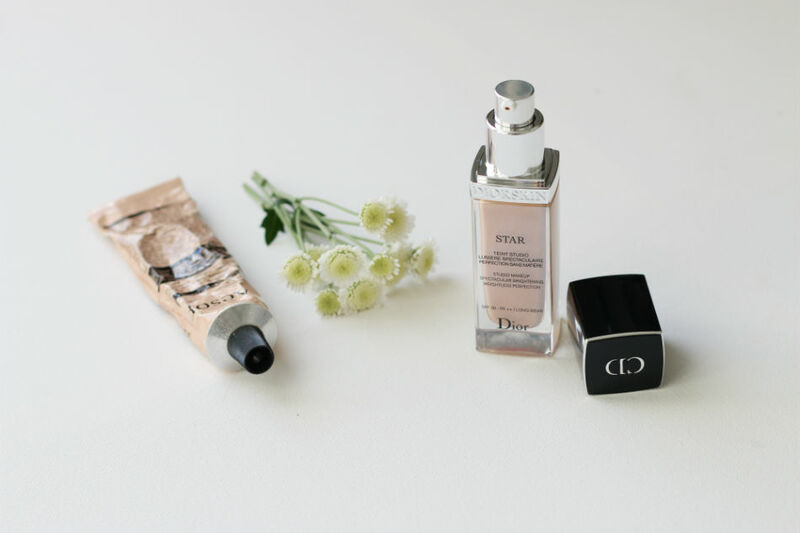 I definitely recommend to tone the colour choice down with white for fresh spring look, or consider grey colour too! I wore a blouse I got last Easter from Topshop, it has embroidery up front and still very pretty. I haven’t wore it since then! 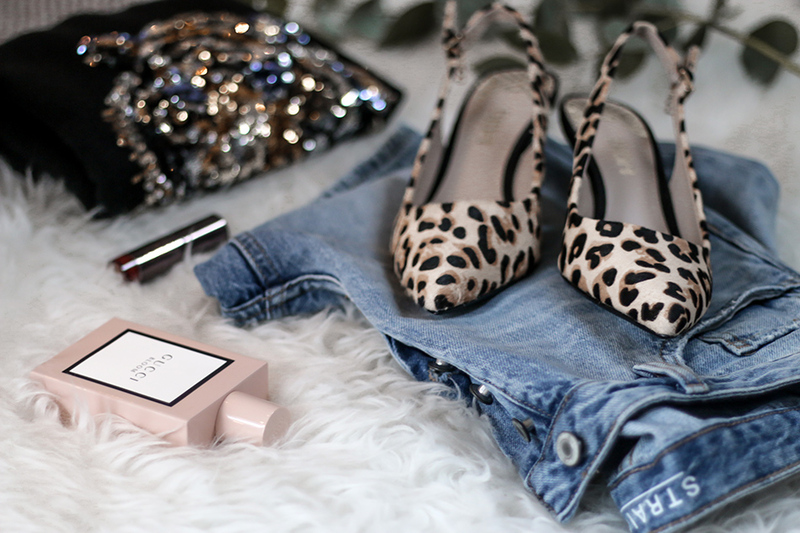 Guess what I team up my look with? You know me, I love to be comfortable on my feet anytime, especially y far away fro home! I wore my good old converse! Don’t get me wrong I love to wear heels, just recently I am making choices to swap killing heels for comfort. I think it definitely has something to do with the fact I am on my feet most of my days, that could possibly explain it! I’ve added links to similar items, so you can directly shop it from my side or if you download the Like To Know It app, it will show up there as well as you can directly shop my instagram too!